Countless individuals wonder if creditors can take your social security in bankruptcy. Social security, after all, is a necessary lifeline for numerous Americans, especially the elderly. What happens to your social security money depends on a few factors, but is generally protected by Federal Law from being intercepted and paid to your creditors during the course of a bankruptcy. Federal Law protects disability income and social security from garnishment by creditors. Before 2011 however, once the money was placed into a checking account, it was susceptible to wage garnishment. A new law was passed that required banks to ensure that now federal benefits were in an account before a garnishment was executed on a checking or savings account, however, it doesn’t always happen. Some financial experts and bankruptcy attorneys recommend setting up a separate account to specifically receive your social security payments in order to cover all your bases. 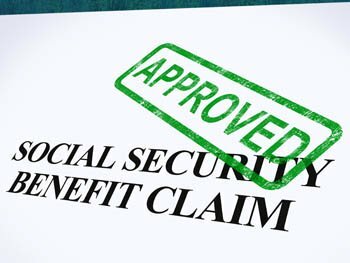 The only exception to the protection of your social security is from the Federal Government which can withhold a portion of your social security to pay taxes or federal student loans. This rule, however, doesn’t apply to bankruptcy since you can’t discharge certain taxes or student loans during a Chapter 7 or Chapter 13. However, if you have other types of debts, bankruptcy can free up funds to pay these types of funds in order to rid yourself of debt. As you approach retirement, long-term debt can significantly alter your standard of living during the portion of your life you’ve worked hard to establish. Contact your local bankruptcy lawyer if you’re worried about burdensome debt affecting your retirement years. Bankruptcy can help you shed excess debt from sources such as medical debt and credit card debt while protecting your social security payments.